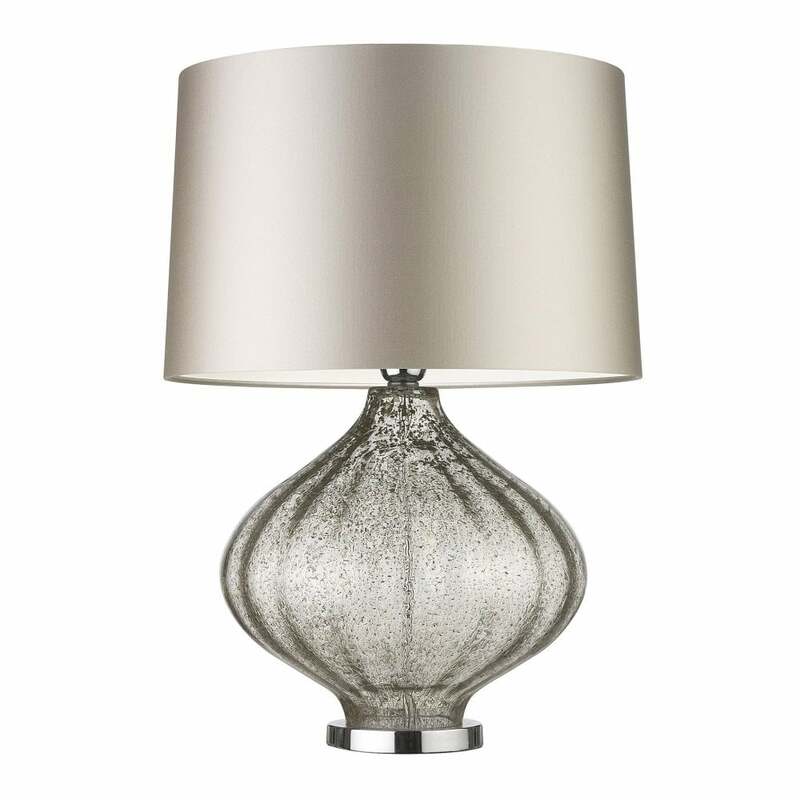 Expertly crafted, the Fiametta Table Lamp by Heathfield & Co adds timeless glamour to a bedroom or living space. The classic design has a soft opacity that feautires flecks of gold leaf interlaced between layers of glass. Available in three elegant colourways; Mist, Smoke Blue and Rose. Pair with dark navy blues, amethyst and metallics for glmaour or style with soft greys and blush pinks for a luxe look. This lamp is individually crafted and will vary from piece to piece. Shown here with a beautiful satin shade and Prosecco PVC lining. Get in touch with our team of experts for more fabric and colour options.